USB flash drives, pen drives, thumb drives and other such devices are the most popular mean of carrying data from one place to another. Millions of USB flash drives are being sold every year but unfortunately a standard USB flash drive comes with no built-in security which poses huge security risks that every computer user must be aware of. When it comes to USB flash drives, delete does not mean what you think. When you delete a file from your UBS drive either using ‘Delete’ option or by performing ‘Quick Format’, it does not actually delete the file rather just place a sheet of white paper over the sensitive documents. This is what we call the FAT recovery issue. Your “deleted” file is still there and can be recovered using FAT data recovery tool. 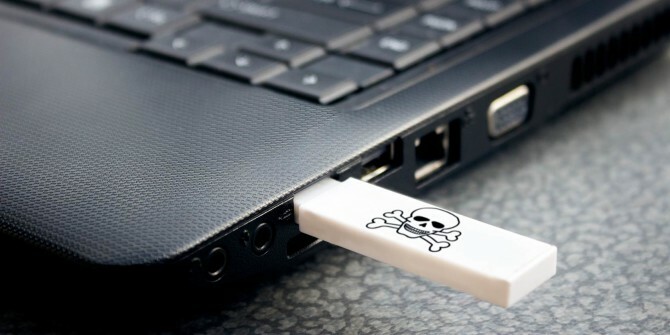 Misplacing a USB flash drive for any amount of time is a real risk. Whenever your USB flash drive is misplaced or left behind, your data can be tampered with and can even be copied of. This is because you would never know what had happened to your flash drive when you were off ground. Cheap Flash Drives can put your Data at Risk If you use a cheap USB flash drive, there is fairly enough chances that the flash component part of your USB drive would fade away at an alarming speed. Cheap flash drives are equipped with bad quality switches which can be broken off even after one use. This indicates that files stored are not protected against data loss and losing files this way can be very frustrating and annoying. Unprotected flash drives can set a terrible computer catastrophe as it can be loaded with viruses and malware which can infect your operating system. An affected flash drive carries malicious coding or configuration which can critically spoil any computer you plug your drive into. There is no standard flash drive that comes with built-in password protection or encryption for the data stored. This would be critical if you have stored your work related data in your USB drive as just in case if you misplace that drives, it can cause a security breach which would bring your business in jeopardy. The easiest and undoubtedly the most cost-efficient solution till date is to use a high quality USB security software such as USB Secure which provides you a very unparalleled feature of Auto-play with which you can secure your USB drive as soon as you plug it into your computer. It endows you with an easy way to password protect USB drive as well as all other storage devices like pen drives, thumb drives, jump drives, memory cards and external hard drives. Previous Is It Necessary to Use File Encryption Software? Next USB Pen Drives – Innovation in Data Portability!